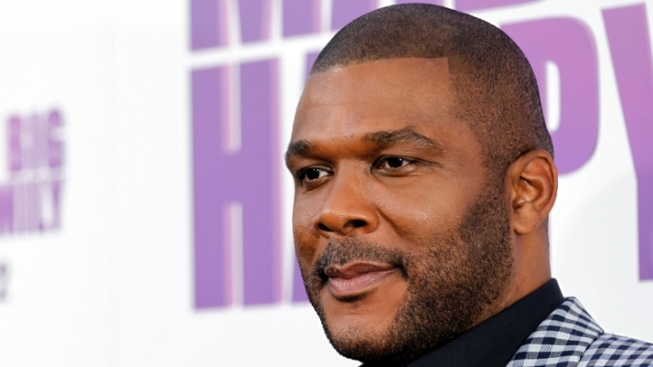 Media mogul Tyler Perry tops Forbes' list of the highest-earning men in Hollywood. It's not often the likes of super-producer Jerry Bruckheimer or director Steven Spielberg take a backseat to someone else, but according to Forbes' annual list of Hollywood's highest earning men, they have to make way for Tyler Perry. The writer/producer/director/actor/mogul - who not only writes and directors but also stars as the title character in comedies such as "Madea's Big Happy Family," "Madea Goes to Jail," and "Diary of a Mad Black Woman" in addition to producing sitcoms like TBS' "House of Payne" - reportedly earned $130 million last year, putting him well ahead of "Pirates of the Caribbean" and "Transformers" producer Bruckheimer ($113 million) and fellow multi-hyphenate Spielberg ($107 million). Rounding out the top five are Elton John (his $100 million take was due in large part to his hugely popular world tour) and "X-Factor" producer Simon Cowell ($90 million). Perry's next venture is a departure for the one-man studio - he will take an acting job in a film he is neither writing nor directing. Perry will be playing author James Patterson's detective Alex Cross in the movie "I, Alex Cross." The character had previously been played by Morgan Freeman in the Patterson adaptations "Along Came a Spider" and "Kiss the Girls."